I played a lot of games at E3, an annual whirlwind of demos and announcements that can be as exhausting as it is exciting. Let’s talk about some of them, shall we? Here are brief impressions of the best games I played—not just saw, but actually played—on the show floor in Los Angeles last week. Maybe my favorite demo of E3? Feels like a new Chrono Trigger in everything but name, all the way down to the tech-based combat system. 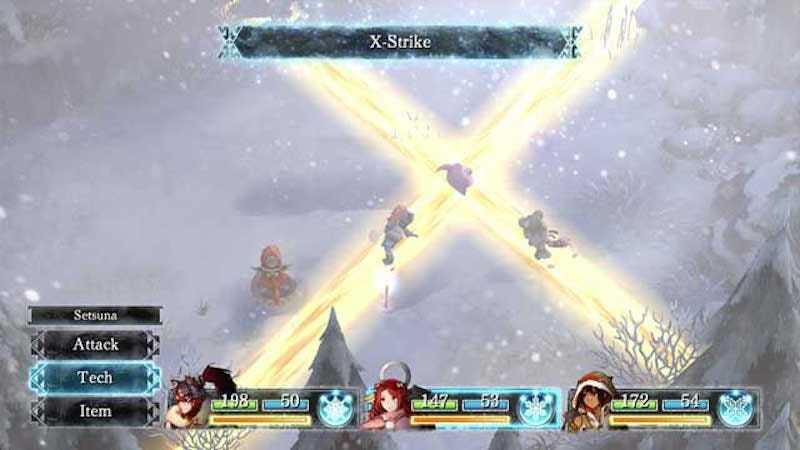 I played the first chunk of I Am Setsuna at Square Enix’s booth and am now very excited to see the whole thing next month. (It comes out July 19 for PS4 and PC.) The piano-heavy soundtrack is great, too. I’ll say this much: the newest FFXV demo plays a lot better than it looked at Microsoft’s conference. Once you get the hang of the control system, whacking Titan’s arm is actually pretty fun. I’m cautiously optimistic for this video game. It should be noted: despite that impressive trailer, FFXII HD isn’t a total overhaul; it’s a remastered PS2 game. Jumping right into FFXII for the first time since 2006 was a bit jarring—turns out the PS2's camera controls don’t hold up very well!—but the fast-forward feature is a welcome addition, and I’m looking forward to playing it all from the beginning. I didn’t want to spend too much time on this demo, because the new Phoenix Wright comes out in September and I want to go in fresh, but HELL YES I will take a new Phoenix Wright game this year, thank you very much Capcom. Surprisingly fun! Watching the single-player demo for CD Projekt Red’s new Gwent game converted me from “mildly interested” to “will play this when it’s out.” It’s more than just a free-to-play competitive card game. After playing 20 minutes of the newest Yakuza game, I think I get why Luke is so obsessed. During my demo of Yakuza 0, which is sort of like GTA except set in Japan and way weirder, I got to do a sidequest where a random girl asked my character to pretend to be her boyfriend so her dad would stop setting her up with other guys. During our dinner date, I had to keep track of our fake backstory and answer her dad’s questions correctly in order to convince him that I was really her boyfriend and not just an impostor. Sold. The makers of Monaco showed up at the Indie MIX event with a brand new game, Tooth & Tail, which is absolutely spectacular. It’s sort of a simplified real-time strategy game where you control a single commander and run around a map, expanding your territory and building out an army to take out your opponent. Also, your armies are all animals. Foxes are snipers; squirrels are ground troops, etc. After playing just one match I can already tell I’ll be addicted to this one. This is another indie to watch! Kickstarted by Monkey Island designer Ron Gilbert back in 2014, Thimbleweed Park is a spiritual successor to Lucasarts point-n-click adventure games that feels absolutely fantastic. I’ll have more to say about Thimbleweed Park later this week. Remember that old sidescrolling game Out of This World? A new indie called Black the Fall, set in a dystopia where you’re a factory worker trying to escape, channels that game in its lovely aesthetic and nails-tough puzzling. I liked what I played quite a bit. Worth the hype. I’m a little worried that the newest Zelda will feel routine after a few hours—and I really want to see what the dungeons look like now—but the gameplay is fantastic, borrowing elements from Far Cry, Skyrim, Don’t Starve, and even Metal Gear Solid. This might be the first ever Zelda game (and maybe the first Nintendo game?) with HEADSHOTS. I actually barreled through the first Cold Steel in the two weeks before E3 so I could finish in time to play the demo for Cold Steel II, and it was totally worth it. I won’t spoil Cold Steel in case you haven’t played it, but CSII continues right where the first one left off, and promises to be another bazillion hours of fantastic character development. Plus, this time you get to recruit characters across the world, Suikoden-style, which basically means I need it in my veins right now. Feels like a natural successor to Human Revolution, which is good, because Human Revolution was fantastic. There was a bit of jank in the demo I played—the screen went black for a couple of seconds every time I tried to do a takedown—but I’m so ready to once again read everyone’s email en route to saving the world. Finally, here’s a beautiful indie game that lets you swap between different animal characters like an armadillo (who rolls around like Sonic) and a frog (who can use his tongue like a whip and/or grappling hook). It’s gorgeous and challenging, and it feels really great to play.